92Y (previously known as the 92nd Street Y) has long been a motivating force in the development of both modern and Jewish dance. Agnes de Mille, one of the great modern dance choreographers of this century has stated that the 92nd Street Y’s support and presentation of dance was critical to the development of the modern dance movement in America. Beginning in the late 1930’s, the Y, as an early home for modern dance, presented works by Miss de Mille, Martha Graham, Hanya Holm, Doris Humphrey, Jose Limon, Alwin Nikolais, Merce Cunningham and many others. After the birth of the State of Israel, the American Jewish community experienced a reawakening to pride and interest in Jewish culture and particularly to the emerging forms of culture created in the new State. Among its numerous achievements, the Y was in many ways responsible for the growth and development of Jewish and Israeli dance in America. It became the very heart of Jewish dance in New York. The early 1950’s saw the meshing of both Jewish and modern dance forms of expression in the most natural of settings -the 92nd Street Y. Concurrent with the founding of the Israel Folk Dance Institute (now the Israeli Dance Institute), Fred Berk established a Jewish Dance Division offering a variety of programs for children, teens and adults to come in touch with the culture of Israel through folk and modern dance. Together with Doris Humphrey, he started the “Merry-Go-Rounders” Dance Company at the Y and choreographed the popular “Holiday in Israel” which became that company’s “hit” for many years. Over the years the Y has housed Pearl Lang, Anna Sokolow, the Inbal Yemenite Dance Theatre of Israel and others whose dance traditions cross both Jewish and modern spheres. During the late 1970’s, Ruth Goodman and Shulamite Kivel joined Fred Berk as department directors. (Danny Uziel, who had been a regular guest teacher and advisor since the inception of the division, joined Ruth Goodman as director when Shulamite Kivel moved to Florida. Fred Berk passed away in 1980.) Program offerings included Israeli dance for adults and children, seminars for teachers and folk dancers interested in the teaching and background of Israeli folk dance, teen performing group, café night celebrations and holiday concerts. In September, 1986, the Y housed a landmark event, “Jews and Judaism in Dance: Reflections and Celebrations”. This exciting and intensive three day series of lectures, demonstrations, workshops and performances inspired many attended to delve further into the various expressions of Jewish ethnic dance. As Israel continues to absorb immigrants from the far reaches of the globe, we are presented with a wealth of diversified customs which can be creatively synthesized into artistic expression in dance. For more than 35 years, a variety of 92Y Israeli / Jewish dance programs have flourished under the direction of Ruth Goodman and Danny Uziel. The Wednesday night weekly Israeli folk dance session has become the centerpiece of Israeli folk dance in America with an influence that is recognized throughout the world. Fred Berk (1911-1980), was a dominant influence in the world of Israeli folk dance in the United States. Born in Vienna, Fred began his dance career in Vienna in the late 1920’s with Gertrude Kraus, an expressionist artist. In 1934, he won the bronze medal at the International Dance Competition as one of Europe’s most promising dancers. His European career was cut short by the Nazi takeover which forced him to flee to Switzerland, Holland, England and finally, to Cuba. There he performed with a former partner, Claudia Vall Kauffman, and ran a dance school from 1939-1941. When Fred reached New York City in 1941, he reestablished himself with another former Krauss Company member, Katya Delakova. By 1950, the dance duo of Delakova and Berk was well established. His career was now centered on choreography and dance production. At the 92nd Street YM-YWHA, along with Doris Humphrey, he co-founded the Merry-Go-Rounders Dance Company, for whom he choreographed Holiday in Israel as well as other works, and in 1952, he founded and became the director of the Jewish Dance Division. Here he established folk dance classes, open sessions, leadership training programs and directed and choreographed for the resident folk dance company he started, Hebraica. For five years, Fred also headed the Stage for Dancers Project, producing and directing modern dance concerts at the Brooklyn Museum and other settings, a project which contributed greatly to the advancement of modern dance in America. At the same time he was also heading the dance institute at the Jewish Theological Seminary. Fred Berk performed in the first Israeli Folk Dance Festival and Contest in 1952 with Katya; they performed “Scenes from Jerusalem.” In 1953, it was called the Israel Folk Dance Festival, but prizes were still awarded. At this time, he is credited for choreographic arrangements. For educational reasons, Berk dropped the competitive aspect in 1954 when he began to serve as Festival Director, a position he held until his retirement in 1977. 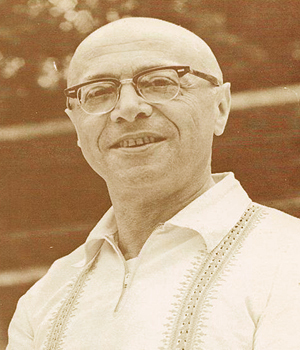 Under the auspices of the American Zionist Youth Foundation, he founded and directed the Israel Folk Dance Institute department through which he conducted summer folk dance seminars in Israel for American students, edited Hora newsletter and created a record and book distribution center. He published four monographs: Harikud – The Jewish Dance, The Chassidic Dance, 100 Israeli Folk Dances, and Machol Ha’am – Dance of the Jewish People and supervised many Israeli folk dance recordings on the Tikva Record label. His career also included teaching an accredited Israeli Folk Dance course as a faculty member in the Department of Physical Education at Brooklyn College. Festival 60 provided an occasion to remember and salute Fred Berk. An exemplar, his driving spirit and intense dedication inspired all who were fortunate enough to work with him and to know him.